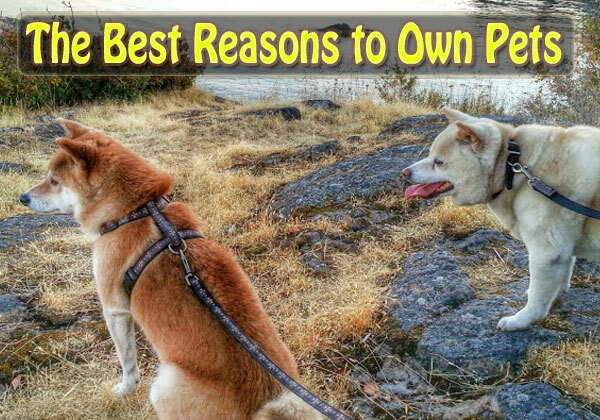 There are many reasons for owning a pet. The first and foremost is the need of unconditional love. As pets love you without any selfish motives, they fulfill the void of wanting best friends. They fill up your lonely hours with nothing but plane love. Their tacit language exuberating warmth is matchless and generates the quietest yet effective dialogue of love and companionship. Their company is the finest healer and an ideal replacement for antibiotics and antidepressants. Why pets are finest healers in the world? Most of the health problems occur due to a diseased mind. An unhealthy, stressful and depressive state of mind is the basic cause of several health diseases. While you indulge in dog care, your pet dog enhances your state of mind by being with you without any personal reasons. His unconditional lovey-dovey tactics are matchless remedies for emotional and mental healing. Pets are the best stress busters, finest listeners and amazing companions. This makes them score above various medicines that just do nothing but pile up chemicals in your body. Pets are finest anti allergens: Studies have proved that pets reduce the chances of allergies. If your family has a pet then you all are at a reduced risk of any allergies. This is because your body gets higher levels of immunity by being desensitized towards various allergens. This ‘pet effect’ is especially good for children as the immune stabilizing effect begins during the prenatal period. This paves to a healthier baby with a strong immune system. Pets are best for heart: Walking or playing with your pet not just pounds your heart with lot of joy but also burns cholesterol and fats from your body. It is scientifically proved that petting an animal drops down blood pressure. Studies suggest that people who have adopted cats or dogs are less prone to heart attacks. Their chances of a heart attack reduce by nearly 30 percent. This way, your pet keeps you cardiac problems at bay. Pets and fitness go hand in hand: If fitness is on your mind then you must know that petting and fitness go hand in hand. Studies suggest that pet owners have improved fitness as they walk, play, swim or jog with their pet. As part of their dog care, dog owners need to walk on a regular basis, which improves their fitness. Pets also reduce childhood obesity ratio as children enjoy physical activity with their pets. Playing with the dog helps shed body weight and ensure fitness without much of an effort. Best companions for the oldies: Pets are also best buddies for the older members of the family. An added advantage is that they are also a perfect support system for members ailing from old age diseases like diabetes, Alzheimer etc. Diabetic alert dogs, seizure alert dogs, autism service dogs are examples of how dogs prove to be best companions for patients. Even your pet fish can makes the aging people for more attentive and lively. Weight loss: Your dog would be a finest walking partner, swimming partner of yours. In addition, you burn lot of calories by playing with him. Moreover, the most important part is that all this would happen in the name of play. He would your finest fitness instructor taking you to a fitter body without acknowledging his role in it. To sum up, pets are the finest way of getting higher levels of fitness. They bring in so much joy that contracting diseases become a distant possibility. Having a pet is more advantageous for the pet parents than to the animal. Petting keeps away diseases, allergies, stress and emotional imbalance at bay and thus gives you a healthy body and relaxed mind. Owning a pet thus makes you fit, slim and lively. If you are eyeing all these then head straight to a shelter home and just adopt and see your life taking a high. Wish you happy pet parenting!